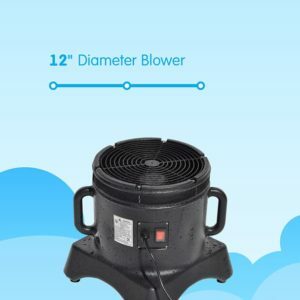 This twelve inch diameter blower is the ideal small blower that can effectively move and dance a 10ft air dancer. 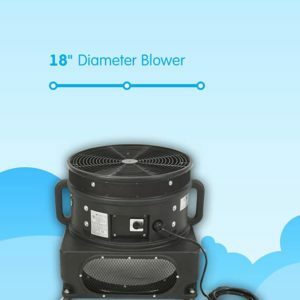 The 12-inch diameter sky dancer blower is smaller, lighter, and quieter than other large blowers on the market. This blower fits all brands of 18" diameter Sky Dancer attachments. The 4 lockable roller wheels that come standard with this unit make this 43 pound blower easy to move and set up anywhere.